Brecken Sweater Just $18.99! Down From $55! Shipped! 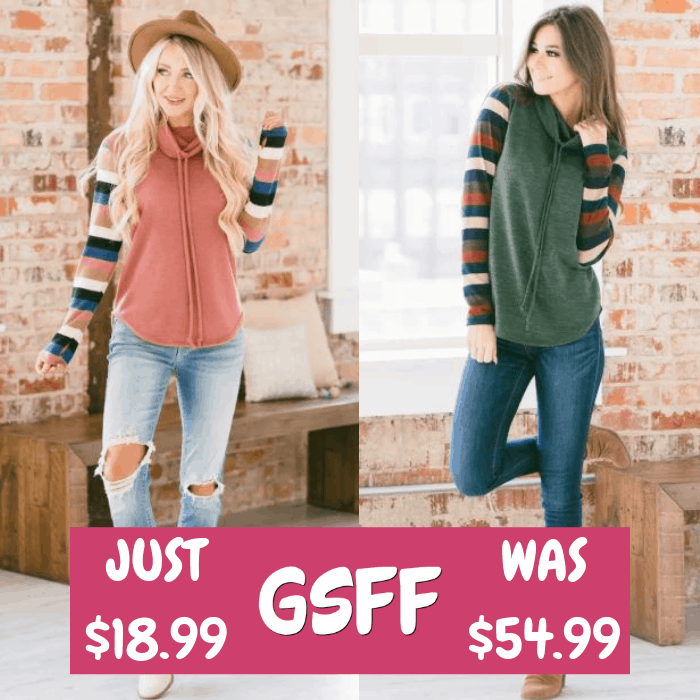 You are here: Home / Great Deals / Brecken Sweater Just $18.99! Down From $55! Shipped! For a limited time only! Jane is currently offering this Brecken Contrast Sweater for just $18.99 down from $54.99 PLUS FREE shipping! How fun is this new Brecken Contrast Sweater? From the drawstring cowl neck to the long sleeves that feature a gorgeous striped design what’s not to love? This sweater has a curved hem and a semi-loose fit, it is so soft and comfortable you’re sure to find yourself wearing it all season long! You’re gonna love this sweater with some comfy leggings or skinnies, and booties!